Innova IFA04 Smooth Cotton High White 215gsm is a fourdrinier, acid-free museum quality paper ideal for exquisite quality giclee style print reproduction with the added benefit of being touch dry straight from the printer. This paper's wonderful archival quality makes it the go-to option for photographers seeking a texture-free, clean finish to their work. Boasting a silky smooth matte finish on a 100% cotton base results in no distracting reflections on the surface of the print allowing your images to speak for themselves. 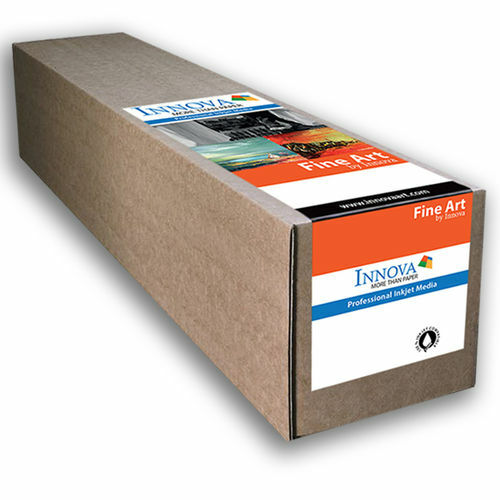 Innova IFA04 Smooth Cotton High White 215gsm is particularly suited to reproducing fine details and is compatible with both aqueous (water-based) pigment and dye inkjet printers.